Buy the Right Type of Window! Buy the Right Type of Window! Buy the Right Type of Window! 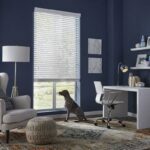 Though you may be tempted to choose new windows for their look, be sure to consider all of these factors before buying new windows. A window isn’t just meant to bring light and views into a room. It may also define a room’s shape, provide an architectural focal point, allow for ventilation, and/or provide for emergency escape. To serve widely varying needs, windows are made in a vast array of types and sizes, each of which functions differently. A combination of fixed and operable windows fills this spacious home with light and views. When selecting window styles, consider your home’s architectural style, how the window must perform, and your budget. Pay particular attention to how the window must perform in terms of security, ventilation, and ease of maintenance. Broadly speaking, windows are either fixed or operable. Fixed windows are used mostly as architectural accents or where light and views—but not ventilation—are important. They include round-top windows and others that are geometrically or unusually shaped, as well as large picture windows. Seamless bent-glass corner windows are fairly new and offer unobstructed views at the corner of a house. 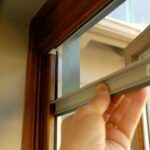 Operable windows may slide up, down, or sideways, or they may hinge outward or inward. The windows shown below represent the major types. These large double-hung windows combine a classic look with contemporary style. 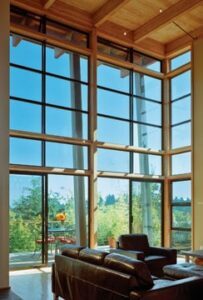 Contemporary windows are available in a number of innovative styles. 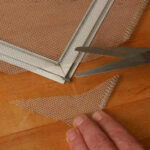 You can buy bent-glass corner windows, curved-glass windows, or casements with no center stile. Some bow and bay windows, made up by combining fixed and operable units, are also available. A variation on double-hung windows is the tilt-turn window. Tilt-turn windows offer distinctive European styling and have a special advantage over conventional double-hung windows: They tilt in toward the room at the top and also turn a full 180 degrees for easy cleaning. This feature also makes them excellent emergency exits. 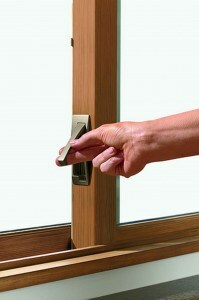 Look for a multipoint locking system; this adds security and helps keep the window tightly closed. Casement windows crank open to bring the outdoors in. Casement windows, hung singly or in pairs, are side-mounted on hinges and operated by cranks that swing the sash inward or, more commonly, outward. They open fully for easy cleaning and offer excellent ventilation because they can “scoop-in” breezes. These two types of windows are like horizontal casements. Awning windows are top-hinged—they tilt out at the bottom, offering partial ventilation, an unobstructed view, and reasonably good security. Hopper windows are like awning windows except that they hinge at the bottom. Hoppers are normally used for ventilation above a door or another window, where they are protected by eaves. This slider glides effortlessly along its track. Horizontal slider windows may have one or more fixed panels in addition to one or more panels that slide in horizontal tracks. A possible drawback is that only half of the total window may be opened for ventilation at a time. If this doesn’t matter in the location where it’s installed, a benefit is that the sash doesn’t require any clearance to swing in or out. Also called a louvered window, a jalousie window is like a glass shutter, made from several parallel panes of glass that open in unison. The word comes from the French for jealousy and, in the 16th century, referred to shuttered covers for window openings. Like today’s wood shutters, those early coverings employed a series of wooden slats sloped to shed rain and obscure direct sun but admit in air and light. 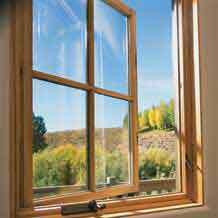 Jalousie windows were installed in many warm-climate American homes before the widespread popularity of air conditioning. 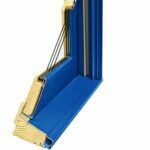 In recent years, however, they’ve fallen out of favor because most permit excessive air infiltration between the panes, allowing for uncomfortable drafts and costly heat loss. A bay or bow window isn’t really a “window” but rather a series of three windows. From the French baie or the Old French baer, meaning to gape or stand open, a bay window projects out from a house wall, forming an open interior bay or recess. This design is particularly effective at gathering light and offering a more expansive view than a single window can. A bay window consists of a center window flanked by two side windows that return to the house wall at an angle—normally 30 or 45 degrees. Although the center sash is usually larger and fixed (non-operable), the two side windows are often operable casement or double-hung sashes. Back in the mid-15th century, when the term “bay window” first came into use, these windows took the shapes of rectangular, polygonal, or semicircular forms. Today, a curving series of windows is called a bow window. Because bay and bow windows project out, they are usually capped with their own small roof or covering. Some large bay and bow windows also surround an interior window seat. 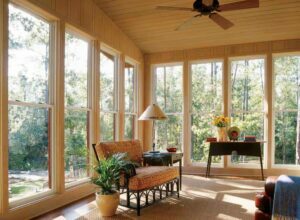 Major window manufacturers sell both bay and bow windows as ready-to-install, assembled units that are made from wood, vinyl, or aluminum. Glass block can admit plenty of light while maintaining privacy and security. 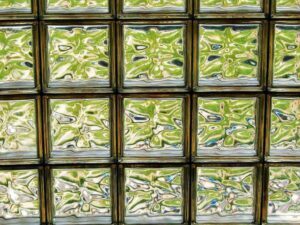 Glass block is a light-allowing alternative to conventional windows, used both in exterior and interior walls. You won’t get any ventilation with a glass block window, but glass blocks offer a couple of popular benefits. First, various patterns allow varying degrees of view or privacy. You can buy types that will flood an area with light but won’t give up any privacy. Glass block walls, which are basically mortar and glass, are also very resistant to moisture damage. These two traits combined make them popular for bathroom exterior walls. Another benefit of glass blocks is that they can be installed to form of curve. Typical sizes are 6-, 8-, and 12-inch squares and 4-by-8 and 6-by-8 rectangles made for 4-inch-thick walls. 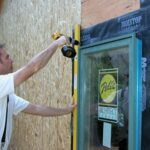 Though you might think that glass blocks are better than most new windows at insulating, they’re not. Typical R-value of installed standard-thickness glass blocks is about 1.96.